Happy Super Bowl Sunday! Today I come to you with an award that I was nominated for not one, not two, but almost five months ago. So thank you Jenna @ Bookmark Your Thoughts, Mischenko @ Read, Rant, Rock and Roll, Kayla @ Kayla’s Book Nook, and Lauren @ Comma Hangover for tagging me. 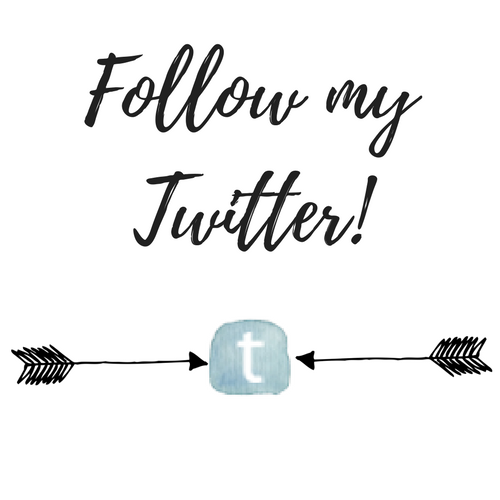 Everyone should check out these lovely blogs! 1. What is your favourite Disney film and character (they don’t have to be from the same thing)? Why? OH JENNA YOU KNOW HOW I LOVE DISNEY. This is a toughie because I haven’t met a Disney movie I haven’t liked yet. I would say my favorite movie is The Lion King, because 1.) the music is SO iconic and I love Elton John and 2.) every time I watch it I get hit by a wave of nostalgia. My favorite character is Rapunzel from Tangled. She is the Disney princess I by far relate to the most (and I absolutely love Flynn Rider too). 2. How do you handle with your TBR list when it gets out of control? *This can lead to a particularly sad coupe of months if I just have no time. 3. What is your favourite type of post to blog about? Unpopular opinion here but I LOVE blogging book reviews. 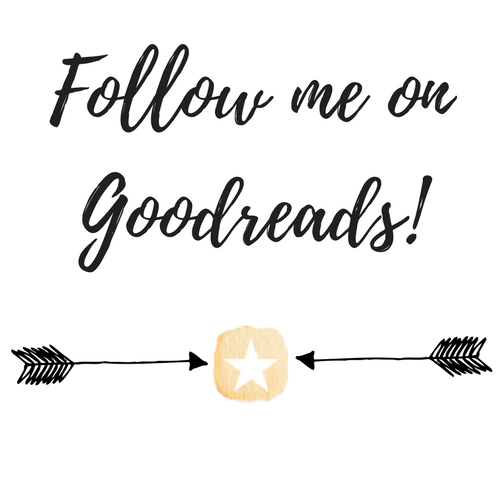 The whole reason I joined the book blogging community was to fangirl and rant about books, so even though discussions and tags and awards are amazing, book reviews are where my heart lies. I would not recommend any of the above, but apples and hummus is not bad and I will continue to stand by that! *This followed a particularly traumatic event for them when I dipped my apples in guac. 2. What’s your favorite book, song, or movie you enjoyed this month? In the past month I discovered the song “Die a Happy Man” by Thomas Rhett and have been thoroughly enjoying it. I’ve been on a bit of a country kick. 3. What’s your favorite thing to do in your free-time and what do you love about it? Besides the obvious (reading books) I love to work on my bullet journal and hang out with my friends. Bullet journaling keeps me organized and helps me feel creative, and hanging out with my friends just makes me happy. Sometimes I combine the two and have a crafternoon, where all of my friends gather at a house with our crafting supplies and work together. Or, I’ve had bullet journal facetimes, where my other friend who bullet journals and I will just work on them as we are virtually together. There’s something very calming about it. 1. Tell me a teaser sentence from the book you’re currently reading! Okay I’m not sure I have the concept of a teaser sentence correct but I’m going to do it anyway. Is it just…a sentence from the book? I’m currently reading Beloved by Toni Morrison for school, and am enjoying it a ton! I’m learning a lot about what magical realism is (hellooooo, Maggie Stiefvater), and the concept is just pretty interesting. The teaser sentence is actually the first sentence of the book, because it had a pretty weird opening. Who is 124??? Why is it spiteful?? Read to find out. 2. Tell me a little known fact about you that no other bloggers know. My favorite scent is fire. WOW super random but I couldn’t think of anything else. No song is stuck in my head since I am listening to music as I write this (I have a nice writing playlist), but the song I am currently listening to is “If This is Love” by Ruth B.
I actually do not listen to audiobooks. I think my attention span isn’t good enough to listen to an audio book. Like where am I supposed to look?? Eventually I’ll just zone out or miss important information. I also just don’t register things said verbally as well as I register things I read. Okay I tried to get the bonus points and I couldn’t. Every musical I thought of was SAD and I wouldn’t want to be any of those people. And thinking of a book character I would want to be is too much pressure. I just KNOW I’m going to forget somebody. So I am deciding on Jess from “New Girl” as the TV character I would be. I’m basically already her anyway, but I love her friendships she makes, and she has my dream job (elementary school teacher). I’ve always been really fascinated with the Roaring 20s. If you were rich, it sounds like the time to be alive. I could travel back and go to all these fun parties in fun dresses and red lipstick. AND, I can take my modern ideas of women voting and racial equality and start fighting for them early and joining the movements. If you could choose a book/series to be turned into a TV show/movie, what would you choose and why? If you listen to music while blogging/writing/working, what are the five best songs on your playlist? I apologize if you’ve already been nominated for this award. No pressure whatsoever to do it! So sad but I kinda love reading/watching sad things. Don’t know what that says about me haha. Also the ending was kinda happy! True 😛 I do not go near animal books. Oh animal books are ALWAYS the saddest. You have to have a box of tissues on hand. Finding a friend who loves to bujo was a true blessing, it makes it so much more fun to plan. Thanks for tagging me. 🙂 I think it’s awesome that you’re like Jess from New Girl. I adore her! She’s so relatable! Her love of sad movies, her awkwardness, her job. I definitely relate to her awkwardness. My favorite scent is fire too. I’m kind of a pyromaniac as a result. 😉 Your answers were great fun to read btw! Ahhh like I just love the smoky scent 😍 aw thank you!! Bullet journaling is so aesthetically pleasing! If you like lettering and pens and crafting you’re sure to like bullet journaling. Ahahahah let me know what you think of apples and hummus! Thank youuu ❤️ Everyone likes to talk about why they don’t love book reviews but I always love them. The music is Tangled is so good! And yes, The Lion King is so classic I love it. Okay…WHERE HAVE YOU BEEN ALL MY LIFE?! You and I are so similar in this tag that it kinda freaks me out ha-ha! I love Disney – it’s a big thing in my household. Lion King is definitely up there, and Rapunzel has become one of my favourite characters! She’s so quirky and giggly…it’s so adorable. Also…recently obsessed with New Girl…I feel rather connected with Jess’s character, and I love how it’s just a fun show that constantly has me laughing hysterically. Thomas Rhett…love…I think he’s going to be at Boots and Hearts this year…so I may need to fork up the money and go ha-ha! I actually used to HATE country but started to enjoy it over the years. I also recently started a bullet journal to keep track of my blogging and habits; it was a little overwhelming at first, but now I really enjoy it. The smell of fire is actually great…so you aren’t the only one…lol. oh yay friend! Disney is one of my favorite things ever! I really really love Rapunzel and connect to her on a personal level. New Girl makes me laugh SO much. Thomas Rhett is a recent discovery and I love it. Ooh maybe I’ll go see him in concert but also money. Bullet journaling is a lot of work but I feel so satisfied afterward.